Rep. Ilhan Omar (D-Minn.) told "'The Late Show with Stephen Colbert" Wednesday night women of color are held to a double standard, as she opened up about becoming a "lightning rod" for many on the right and left. What she's saying: "There are many members of our community, their identities are lightning rods," she said. "They're being used as political football — immigrants, refugees, women of color, people of color, minorities, Muslims. I happen to embody all of those identities, so it's easy for this to be kind of self-explanatory." 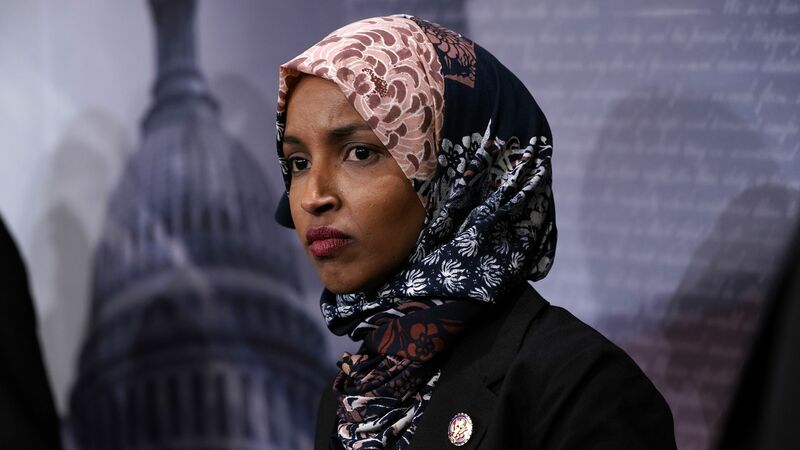 Details: Omar addressed criticism she'd received from President Trump and others for calling senior White House aide Stephen Miller a "white nationalist." Colbert said he'd also described Miller as a white nationalist, without criticism, but he believed he had more latitude than Omar because she's a Muslim woman of color. She noted a congressman had called him the name previously without incident. "You see this outrage when I speak the truth. Everyone else's truth is allowed, but my truth can never be." Often times when you're speaking, you might not understand the historical context of some of the words you might use and the kind of pain it might incite for people.